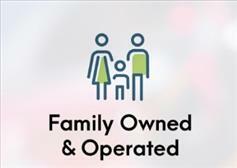 The Automotive Company is a family owned and operated car dealership that always puts the customer first. From the moment you step on our lot until the moment you drive off in your new car, making sure your buying experience is the best it can be is our number one priority! We know how stressful it can be to try to find the right car for you from a dealer you can trust, but our reviews speak for themselves. Look us up online and read what previous customers have said about their experience! It is our promise that you will be treated the same way. We are here to lend you our expertise and resources and help you walk away with the right car at the right price. Call us today at 703-542-8855 to schedule your test drive!